Cast includes: Jeremy Jordan (J. M. Barrie), Michael McGrath (Charles Frohman/James Hook), Jeanna de Waal (Mary Barrie), Alex Dreier (Michael Llewelyn Davies), Hayden Signoretti (Jack Llewelyn Davies), Sawyer Nunes (George Llewelyn Davies), Laura Michelle Kelly (Sylvia Llewelyn Davies), Aidan Gemme (Peter Llewelyn Davies) and Carolee Carmello (Mrs. du Maurier). Through Sept. 28. Running time: 2 hours 30 minutes. From the moment the show opens, it is clear that there is something quite wonderful going on in Cambridge at the American Repertory Theatre. 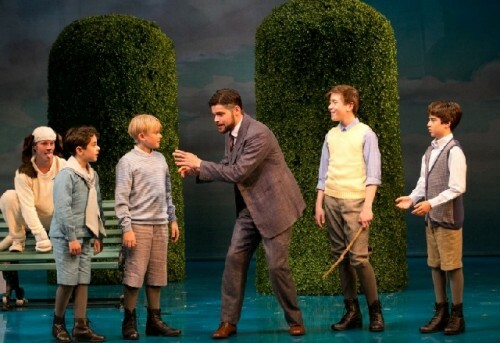 It is Finding Neverland brilliantly directed by ART's gifted Artistic Director Diane Paulus. Here the story of the creation of Peter Pan is a magical musical mélange of wonderful song, innovative dance, gorgeous sets, enthralling lighting effects and sumptuous costumes as well as several superb individual performances. Though J.M. 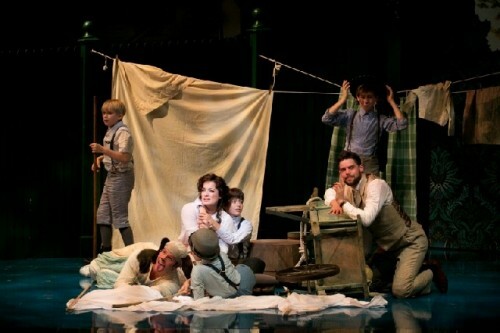 Barrie's original play was/is a children's story, Finding Neverland is not just about childhood. It is a celebration about maintaining the best of our childlike qualities. We are never too old or too young to imagine. This is spectacular entertainment for all generations. Be warned that two hour smiles are quite contagious in the audience. We all grow up with Peter Pan, except he doesn't grow up. Each of us would like to be able to fly. Peter and his cohort of wild boys fly. Of course flying is the metaphor for freedom to find our potential. We are either grounded or able to soar. Peter Pan is about the wonders of childhood, pretending, using our imagination and just simply playing. Without cynicism and not in any way derogatory, Finding Neverland explores all these and underscores them with energetic, melodious fun. Throughout the show, clever visual and verbal references to Peter Pan are memory and smile/laughter inducing. Lost Boys, Captain Hook, pirates, Indians, dogs and a crocodile with a ticktock connect us with our own journey of growing up and our personal Peter Pan. That is not to say, that there are no serious moments in the show. There are. But these are illustrations about the unfortunate realities of life that need to be offset by finding support (love), balance and happiness through exploration of our potential. 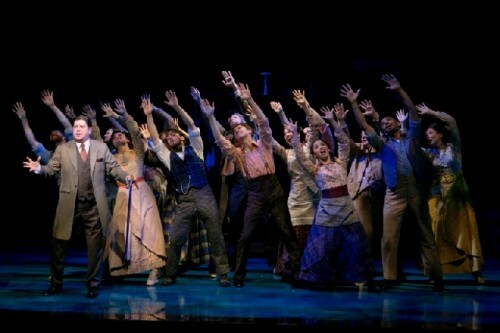 In essence, this is how we all must approach Finding Neverland. There are superb performances in the show. Voices are rich and textured.The dancers and dancing are of the highest quality. Of particular note is Laura Michelle Kelly's Sylvia as Llewelyn Davies. The Olivier Award winner (for Mary Poppins) has an amazing range as well as a wonderful stage presence. Her voice is that of an angel. Jeremy Jordan inhabits J.M. Barrie. His voice and acting are dynamic and beautiful. Michael McGrath's blustery impressario Charles Frohman and his colorful Captain Hook are both terrific. 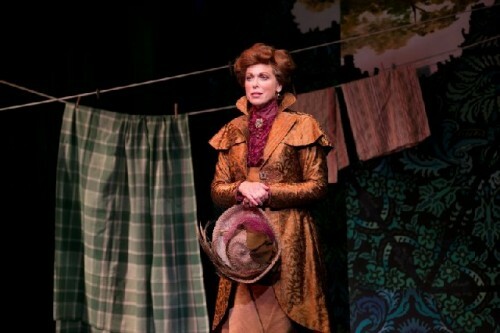 Others of note are Paul Slade Smith as a most theatrical Mr. Henshaw, Carolee Carmello as a haughty but heart of gold Mrs. du Maurier and Jeanna De Waal as a beautiful but overly acquisitive Mary Barrie. Of special quality were the actors who played the four Llewelyn Davies boys: Alex Dreier as Michael, Aiden Gemme as Peter, Sawyer Nunes as George and Hayden Signoretti as Jack. These very young men played their roles marvellously with surprising power and professionalism. As usual at the A.R.T., the stagecraft is magical. The production is at once 19th century evocative but 21st Century technically marvelous. Especially the lighting, projections and magical qualities that they evoke are captivating. Kudos to lighting designer Philip S. Rosenberg, projection designer Gilles Papain and air sculptor Daniel Wurtzel. The sets by Scott Pask are painterly and functionally just right. Costumes by Suttirat Larlarb are both period precise and theatrically absorbing. Choreography by Mia Michaels is at once athletic and energetic while being elegant. The music is simply wonderful. Music supervisor David Chase has collaborated with Simon Hale's orchestrations and Music director Mary-Mitchell Campbell to create at times a symphony of sound. Having 18 wonderful musicians helps, but the production music is fluidly embracing. The vocal design by AnnMarie Milazzo is exquisitely textured throughout the show and is age appropriately performed. With all the compliments stated, there are a few small things that the show should have improved before its opening on Broadway at the Nederlander Theatre in the Spring of 2015. Though not diminishing their quality, some dance and musical numbers go on a bit long. Also a couple of blackouts between scenes need to be paced better. 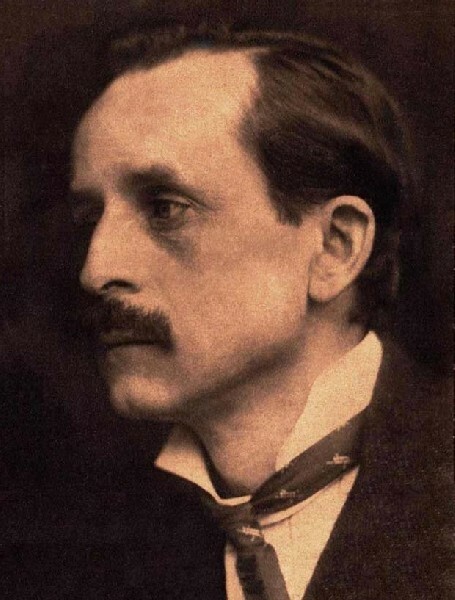 Josh Lamon's Mr. Cromer, though ernest, does not ring quite true, either. It is assumed that these minor things will certainly be tightened up or refined. 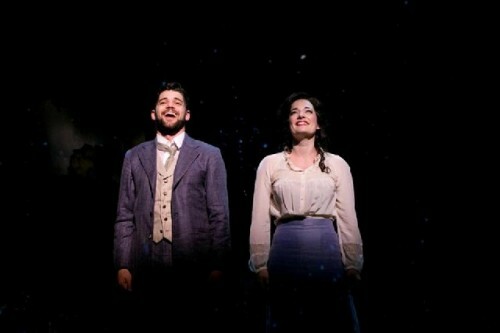 Finding Neverland is a spectacular entertainment. The direction by Diane Paulus is elegant and at times eloquent. Simply put, in almost everything she touches, Diane Paulus is a gift to theatre. The Tony Award winning director has brought her amazing sensibility and abundant skills to this superb production. Her creative signature is writ large on Finding Neverland, and it shows. 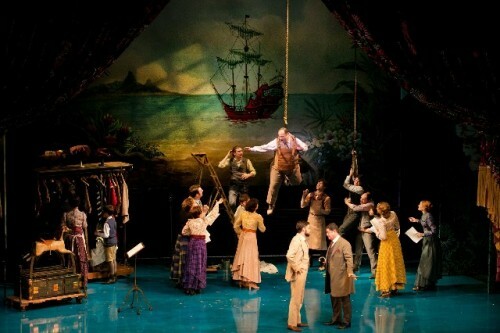 Speaking to the child and adult in all of us, Finding Neverland is a special theatrical experience to savor. "Mr. Bonetti, Ms Paulus may be a "Broadway Baby" as you say, but she has enlivened American theatre and musicals to attract younger generations (Gen X, Gen Y and Millennials, etc.) other than the grey, white and blue haired audience members of the recent past. She has brought a positive generational change to what contemporary theatre was and where it is now going by her own direction and as a creative artistic director of the A.R.T. 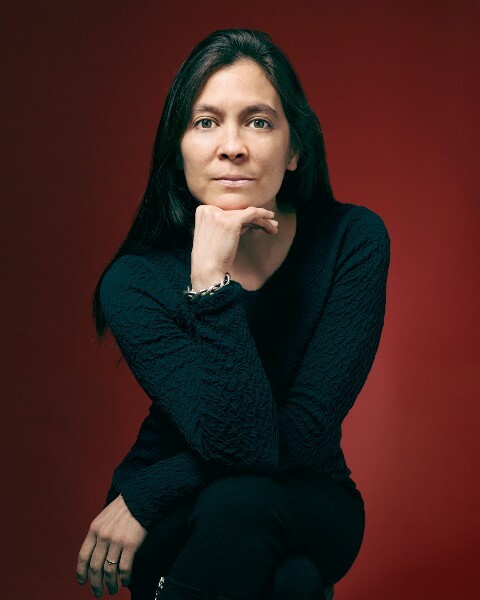 Rather than a destroyer as you say, Diane Paulus is actually a needed savior of contemporary and classical theatre." "diane paulus is a "broadway baby" who has destroyed the american repertory theater, which was arguably the most important regional theater in america under robert brustein. let her go back to new york and wallow in its vegas superficialities."